Luxury Casino has been in the online gambling business for over a decade now, but the site has the look and feel of a sleek and modern online gaming facility, with its minimalist theme set in luxurious black and silver colours. Malta-based Apollo Entertainment Limited established this online casino back in 2001, when real money gaming via the Internet was still a novel form of recreation. 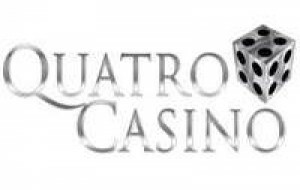 Luxury Casino (LC) now belongs to the Casino Rewards Group and is currently operating under the licencing conditions and gaming supervision of the Kahnawake Gaming Commission of Quebec, Canada. The LC site also became an accredited eCOGRA member, and as such, earned for itself the eCogra Seal of Approval for Safe and Fair Play, by consistently passing the independent regulatory body's rigid assessments and testing procedures for safe, fair, secure, and responsible gaming operations. LC boasts of over ten million players accessing its offerings of nearly 500 games that comprise a collection of slots, card games, and casino table games provided by Microgaming. The choices of slot titles could be endless, as Microgaming constantly adds new games that are up to date with the latest trend, current developments and most advanced gaming features. Luxury Casino's progressive slot offerings are among the most-played choices, since one of LC's players was able to hit a £/€/$5.5 million Megah Moolah jackpot placing bets as low as 50 cents. Nonetheless, LC's list of winners show that winning big and frequently is possible in any of the slots provided by Microgaming. 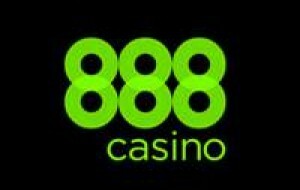 The Winners List also shows that LC customers dabbling in card and casino table games like Double Double Bonus Video Poker, Bonus Deuces Wild, Aces & Faces – 4 Play and Level-up Poker, High Streak European Blackjack Gold, Classic Blackjack Gold, and Atlantic City Blackjack Gold, have brought considerable winnings. All new players registering as Luxury Casino members have the option to receive LC's 5-tier deposit bonus of up to £/€/$1,000 worth of free money credits. The first deposit earns a 100 percent bonus up to a maximum of £/€/$150. The second through the fifth deposits earn, 50, 25, 50, and 100 percent matching bonus at maximum amounts of £/€/$200, 300, 200 and 150. LC also offers the Casino Rewards' VIP Loyalty Program, which awards complementary points that can accumulate and can be redeemed together with all other points earned from any Casino Rewards casino as active member. Every £/€/$10 bet earns equivalent points, while every £/€/$100 points is worth £/€/$1 credit. However, before signing up for any promotional offers, best online gaming practices dictate reading all terms, conditions, deposit and wagering requirements related to the online casino offerings. Another way of enjoying LC's entertainment offerings is via the Luxury Casino Mobile, which allows players to enjoy the same gaming goodness while playing on the go. Last February 2014, a new mobile LC casino app user from Netherlands won USD$1,009,402, while playing with his favorite slot game Major Millions on his iPhone. Actually the lucky player used as initial betting money the £/€/$50 sent as birthday gift by Luxury Casino Mobile, and after two minutes of playing, he became the winner of a life-changing progressive jackpot. Luxury Casino is a long-standing and reputable online casino that can give any player the particular gaming fun that they desire.